I hesitated to write about this trip for a long time because a) I was afraid I wouldn't be able to do justice to the island's beauty, b) I believe the precious moments we spend with our loved ones are sacred and it's not necessary for us to share them with everyone. But I also believe that there's a story to be told here. A story about living your life with gratitude and an open heart. A story about neglect, being oblivious to our blessings and what our future could look like if we don't prioritise education. This is how the story begins. My brother likes to surprise us when we go on family holidays together. We were aware that the destination was Sabah but we didn't know which island we would be going to. 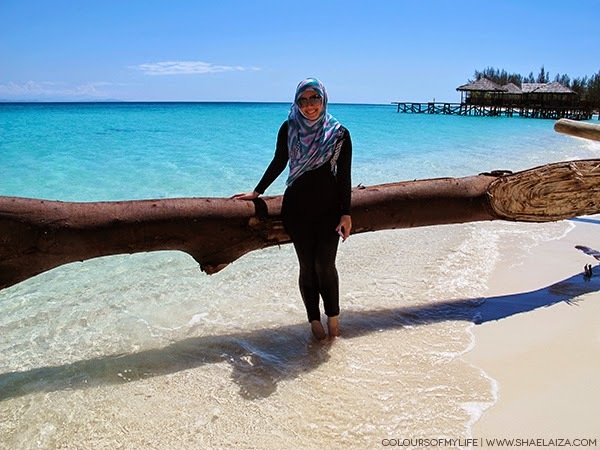 I knew it wasn't going to be Mabul but I was absolutely excited because it was going to be my first time visiting Sabah. 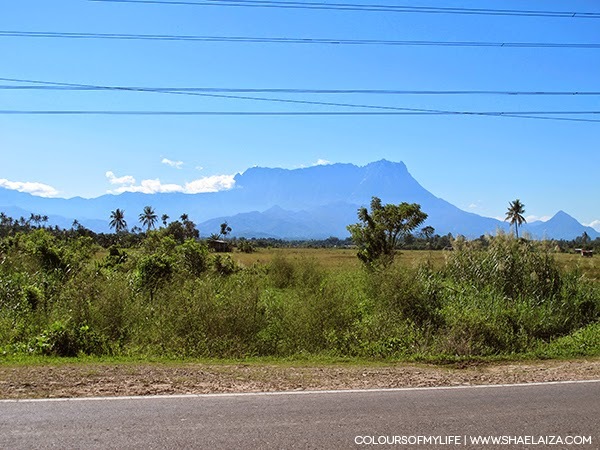 When we arrived Kota Kinabalu the tourist guide took us on a 2-hour drive to Kota Belud where we caught a 45 minute boat ride to the "mystery" island from a local jetty. As soon as I saw the colour of the sea water as we were approaching the island, I thought, "Where are we?! Is this really Malaysia?" 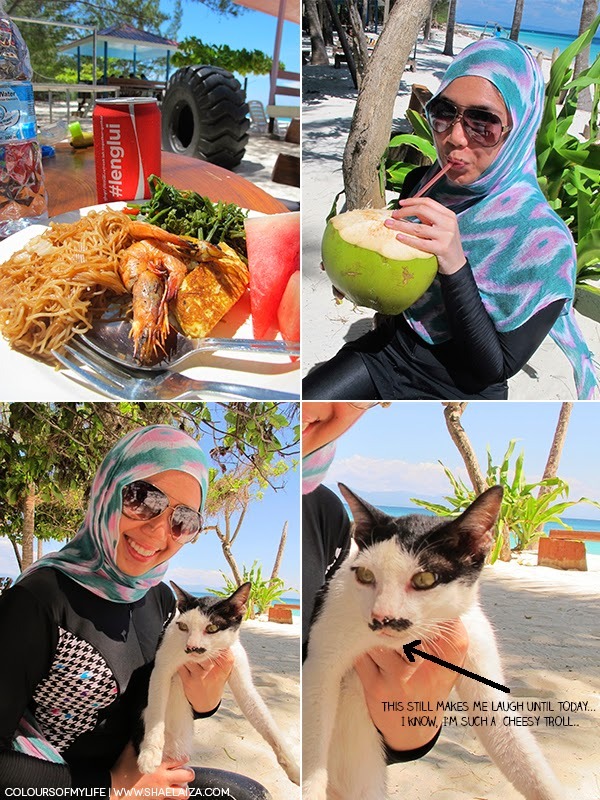 I was told we were at Mantanani Island and that it had just been "opened" to tourists 5 years ago. 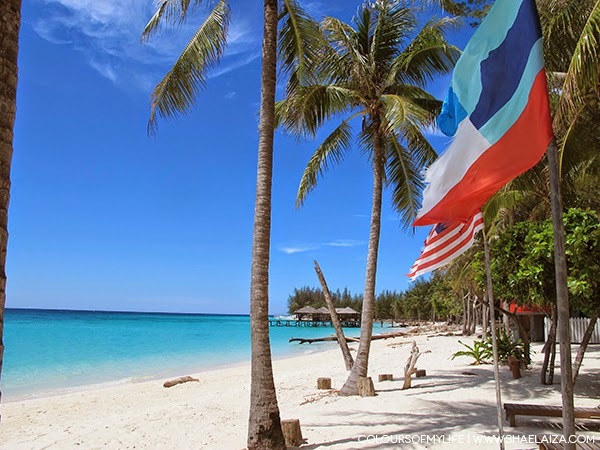 Sabah is known for being the Malaysian state with the most number of islands - a total of 394 of them. This particular island is not uninhabited though. There is an entire village right on the other side of it. I will write more about the village in the next post, inshaAllah. Notice the mountains in the distance? Breathtaking view, subhanaAllah. I was in awe and couldn't take my eyes off the scenery. It's every swimmer's, snorkeller's and diver's dream, to be in such a place. After a few moments of arriving on the island, our snorkelling guides told us to change into our swimming gears and get ready for the snorkelling sessions. 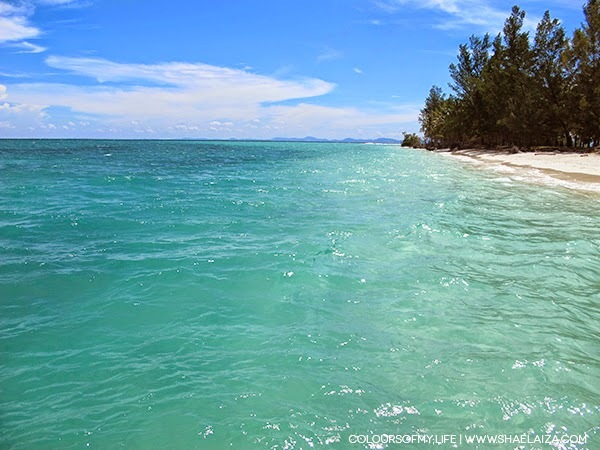 They took us to the ideal snorkelling spots and we explored them for about an hour or so before heading back to the main island where we were served lunch. Swimming and snorkelling makes you feel very hungry, by the way! The food we ate were cooked by the locals, fresh barbecued seafood and stir-fried paku pakis (wild fern leaves) were on the menu. Stir-friend wild fern leaves is a common vegetable dish in Sabah and it's very delicious. After lunch I rested for a while, checked out the place and met this very cute "Charlie Chaplin cat" before continuing to swim. This was just Day One of our stay on the island and we were already having the time of our lives. But what I discovered the next day was heartbreaking and disappointing. 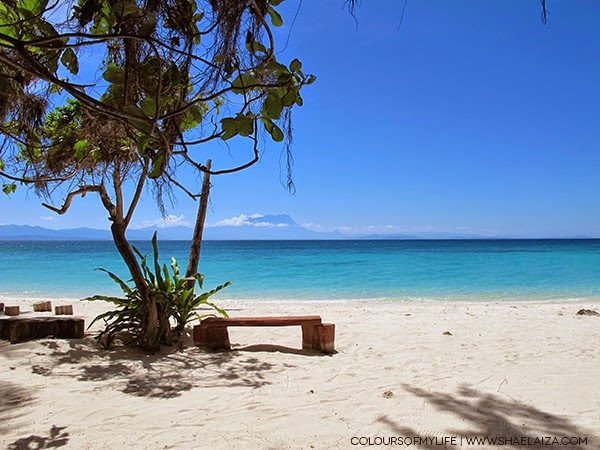 Stay tuned and wait for my post on the Pulau Mantanani village on the other side of the island.